In 1785, Thomas Jefferson suggested a grid system based on the rectangle as a response to what he believed to be a confusing survey system already in use. It divided lands into square units, bounded by lines running east and west, and meridians running north and south. Because the Earth is a sphere, the meridians converge towards the north pole. And the same distance running east-west starting from the same latitude does not necessarily end up in the same longitude. 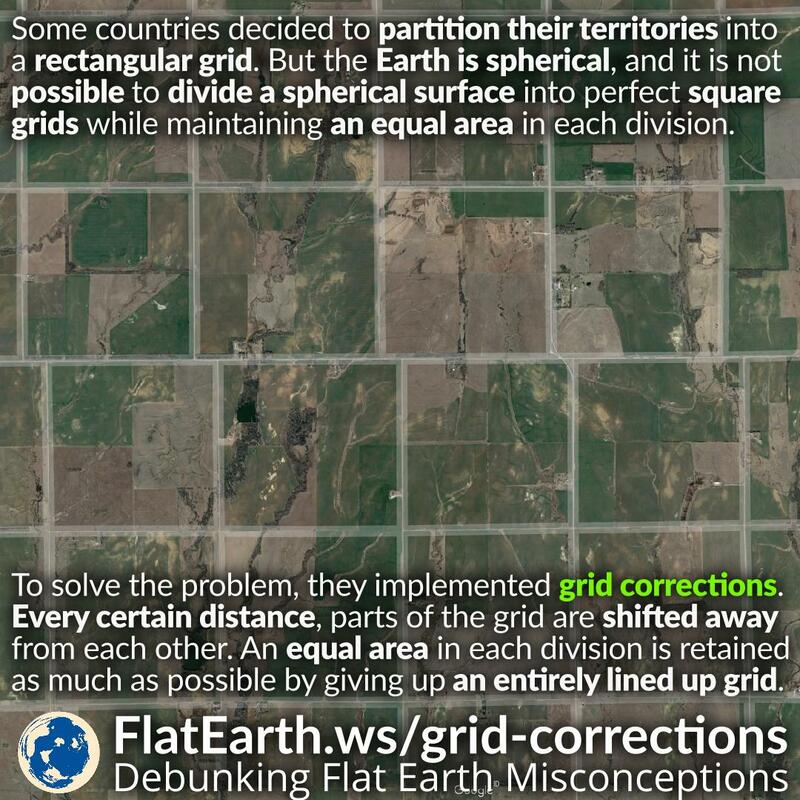 In the United States, they shifted the grid every 24 miles to account for the distortion. Because of these grid corrections, roads running north-south are not entirely lined up. At many points, the road comes to an abrupt halt, requiring a quick zigzag to continue on the same road. If the Earth is flat, then it would be possible to divide up the land into a perfect square grid without any distortions, and we wouldn’t have these quick zigzags today.